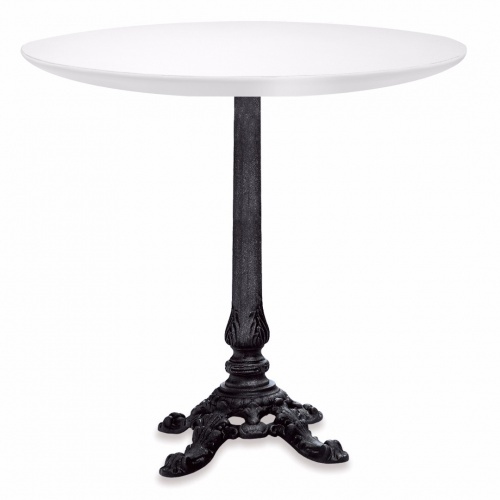 Venetian style cast iron table base with decorative cast iron column. Maple Species is Standard. Oak is optional at the same price, Other species are available upon request.